Have you ever wondered (deep inside, naturally) looking at a piece of art if there was something wrong with you? 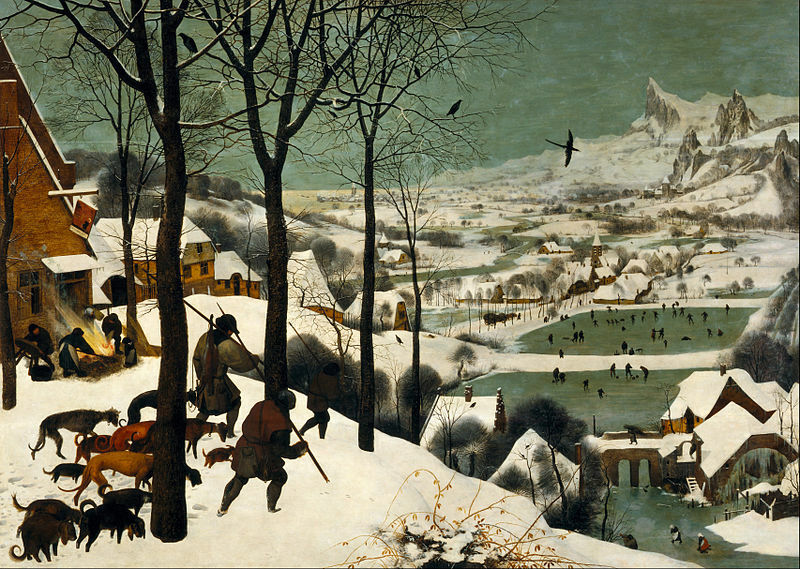 Something like this: ‘Here is an artistic work which has sold for millions, yet it doesn’t make any sense to me. I wouldn’t pay the price of a cup of coffee for it. I’d rather have another coffee…’ Indeed, how can a line against a coloured background be anything above what it is? And then you muse: ‘Am I missing something here? Maybe I’m not cultured enough? But what if I am right and the rest of the humankind has gone mad? What if it’s only a question of fashion, and someone just has to say that the king is naked! (It won’t be me, though. )’ If it has ever happened to you, know that you have walked into a paradox that cannot be solved, because the answer to all these questions is ‘yes’. Contemporary art, which has its origins (or rather a jump-start) in the 19th century, is no longer about reaching out, it’s about chucking out and looking where it falls. Self-expression is now not only an artist’s motivation behind a project, it’s also the philosophy, the technique, the skills and the PR – it has truly replaced everything when it comes to an artistic activity. An artist is no longer confined within conventions, whether it comes to form or substance, and dos and don’ts of artistic expression is mostly a thing of the past. Freedom of expression cannot be a bad thing in principle, but only if we are aware that this coin comes with two sides. Unrestrained freedom leads to a greater subjectivity, and with that – a practical impossibility to make any sense to anybody except of your good self. The event of communication all but disappears from it. 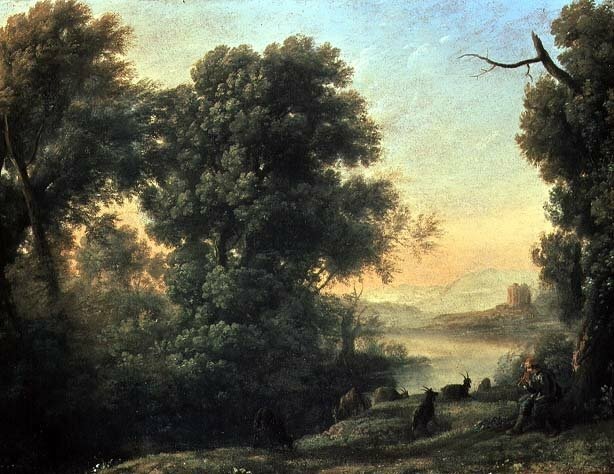 In the confines of the classical world if an artist had painted a tree and a shepherd on a sunny day to express pastoral mood, you could see it was a tree, you could just about make out a shepherd there, and you appreciated what the good weather was all about. It would be a largely hollow and overused image, a message that carried little meaning, a cliché in other words, but the communication between you and the artist had occurred. Cliché is a derogatory word. Cliché stands for lack of imagination or skills, or both. But clichés also serve very useful purpose, as crippled as they are, and it goes to the core of the concept of individuality. As independent, autonomous individuals we all operate at different frequencies. It means that our inner impulses are incompatible. If we want to forge a connection with a fellow human being, no matter how tenuous, we have to tune in first. We have to abandon the complexity of our inner workings and try to find common ground, which is usually more simplistic than what is really going on deep inside us. We are not seeking to find a full match, but only pathetic similarities. This is why we always start with a small talk when we meet someone for the first time (and that is not different even if we have a romantic interest in him/her). What we do is synchronise. To synchronise we use accepted, easy to grasp constructs – ‘Nice weather, huh?’ In fact, the totality of human language is one of such constructs, because not a single word or expression in any language reflect all the complexity of what is going on within or beyond us. They provide no more than an approximation of all those things. Therefore, we simply use what we have available to make our first timid step. Having thus synchronised at a superficial level, we can proceed to finer tuning, and how far you can go only depends on the will of the two parties. In the end you may even reach nirvana, if there is absolutely no resistance on both sides, so be careful. Just as in personal relationships, in arts your aim is to forge a connection, be it with people you have never seen and may never see. If you have failed, no one needs your art (whether deservedly or not) and for you it can be nothing but misery. One way to forge connections, again by analogy with the face-to-face interactions, is through the use of accepted constructs, only in the language of arts they are called clichés. This is what clichés are – they are means of communication. This is where trees and weather conditions and decipherable human figures can be very helpful. (And just as with the words and the language not only complete messages, but every decipherable object can be called a cliché, because in every case it’s only a recognisable interpretation, a generic category, and never the real thing.) Having established contact, you then take your viewer further. And who said you can’t? A painting can look misleadingly simple, yet possess uncanny psychological depth and carry a profound existential message. Static qualities can be suggestion of concealed emotion, a sharp contour can be a cry for help, a muted palette – a call to rise above and think. Expressive and abstract arts are not interested in exciting our conventional receptors and in that they reject accepted constructs. They aim straight for our subconsciousness. The question is do they get there? They have to wade through layers and layers of preconceptions, preferences and experiences, which is our consciousness. Yes, it is entirely possible that at that crucial moment of viewing an isolated individual was in a certain frame of mind and at a certain stage of his life that enabled him to take in and be taken by the image. But how many were not? Perhaps, artists are aware of these limitations, because they do take steps to address them. This is where a caption enters the scene. Undoubtedly, it is an agent between the viewer and the work, a third party in their relationship, but in that it works with our consciousness, not against it, on the bumpy road to our subconscious. With its warm and fiery range of shimmering orange and vermillion rectangles interrupted by the delicate band of almost translucent white, No. 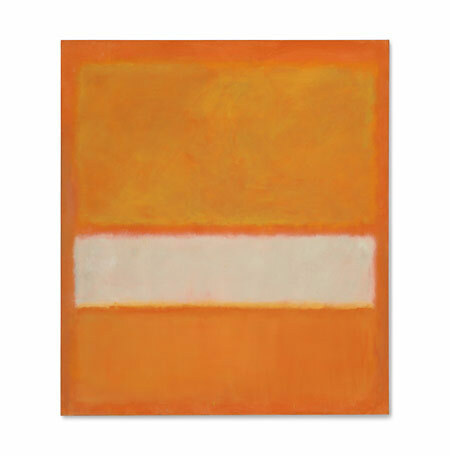 11 (Untitled) exemplifies the sense of ‘presence’ that Mark Rothko sought to establish in his most powerful works. Painted as the world entered the nuclear age, No. 11 (Untitled) perfectly captures the duality of the 1950s — encompassing the potential of the human spirit while at the same time reflecting the dark forces that Rothko felt existed deep within the human soul. Pity, Rothko didn’t say it. The auction house did, no doubt to release the potential bidders of the burden of all the paradoxes only us, mere mortals, can afford to indulge in. What about Rothko himself? His guidance falls just short of being a caption: A painting is not a picture of experience. It is an experience. And this is what we are expected to do – to free our mind, to shed our preconceptions and simply try to experience, which takes us back to our questions. ‘Am I missing something here?’ Yes, a world bigger and greater than what you see. ‘Am I not cultured enough?’ Yes, if you can’t see there is a world beyond. ‘Has the humankind gone mad?’ Yes, because if this is not nonsense, nothing at all can be dismissed as nonsense anymore, but we know for a fact that some of it is. Is it a question of fashion? Yes it is! Because almost anyone can create along these lines and no one at all will ever pay a penny for it. So, what the hell is going on? Subjectivity… This is what subjectivity is all about. It’s about existing and not existing at the same time. It is a state in-between the two extremes, and only an instance of communication grounds it firmly in reality. If an act of self-expression has forged a connection with only one soul, it becomes real. If this soul has $46M to spare to keep the memory of that connection, it becomes fashionable. Self-expression alone is only a hope of connection. 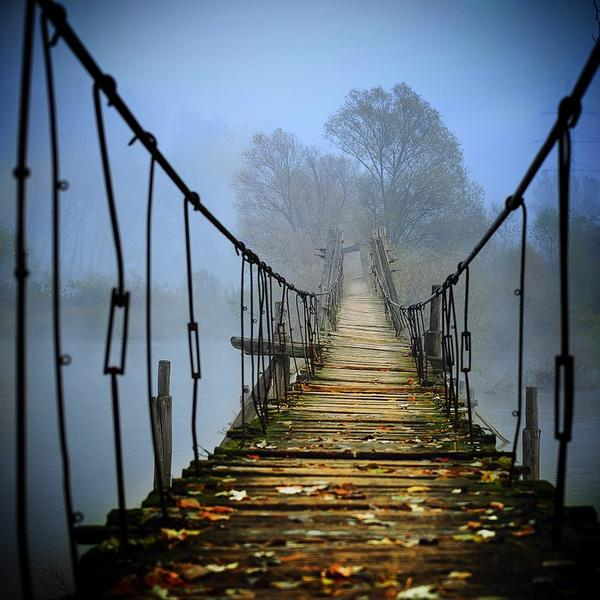 Art, on the other hand, is about building bridges. But the most important thing is that even in that twilight form self-expression is all worth it. If you have something to express, you have to just go ahead and do it, even if you then spend the rest of your life trying to bridge it.